Fire Fighters is the first track to be released of The Out of Money Experience and as the story goes below, actually the first track to be put together for the album. In turning a small sample from a 7” into the first single, The Optimen added their own layers, including a rich coating of horns, live drums and breaks from Myka Wallace (Laneous & The Family Yah), backing vocals from Laneous himself and keys from Greg Arnott. 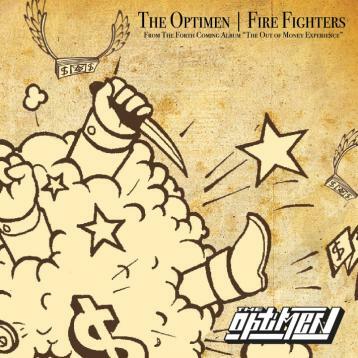 Fire Fighters is the first taste of The Optimen’s sophomore album The Out of Money Experience which is scheduled for release March 2010. Distributed by Inertia Distribution The Out of Money Experience is due for release early 2010 in March and will present the 2nd phase in The Optimen‘s story. 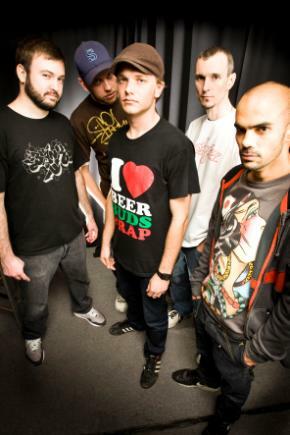 The Optimen released their debut album Boomtown (an absolute stormer of a cd) in 2005 with their first single Give It Up, which was added to high-rotation on Triple J. The crew then went on to pick up two gongs for Best Urban Artist and Best Film Clip at the 2006 MusicOZ awards, followed by a whole heap of awards on Ozhiphop.com. So get your pants on and go download Fire Fighters, because with a new Lazy Grey album and new albums from the crew at Red Tape Entertainment, Brisbane is back baby!